Hair loss only on one side of your head could have several possible causes. Finding and treating the underlying problem gives you the best chance to regrow your hair. Consult your doctor if the amount of hair loss is noticeable or significant to you. There are many causes of hair loss, some of which lead to certain patterns of loss, which may be in patches or generalized thinning. For example, thinning of hair on the top (crown) of the scalp occurs in women with female hereditary pattern baldness. There is also the familiar male pattern hair loss. When the pattern is less recognizable, the reason for the hair loss can be puzzling. 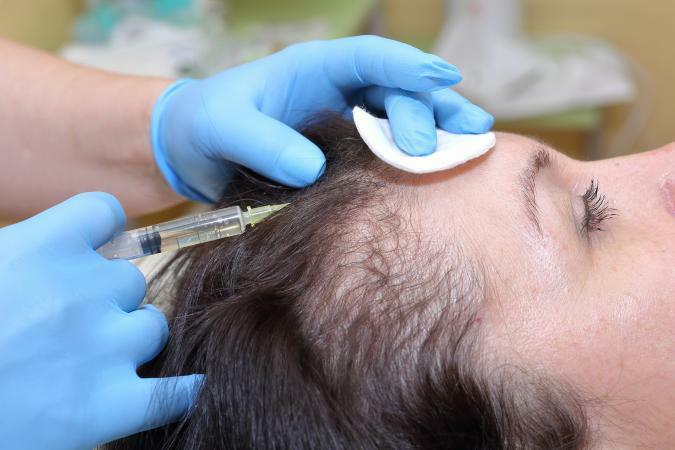 There might be an immediate explanation for a localized, partial hair thinning or bald patches (alopecia areata) just on one side of the head if you look for one. In some cases the cause might not be as clear but there may be potential explanations. The best thing to do is to see your doctor, who might recommend seeing a dermatologist or other specialist to narrow down the possible cause or causes. One-sided traction: Some people subconsciously pull on parts of their hair only on one side while working or resting. This can weaken and break off hair anywhere along the shaft or from the follicles. The extreme of this is a psychiatric disorder called trichotillomania - a compulsive, constant pulling on the hair. Sleeping on one side: Constant pressure and friction from your pillow on one side of your head while sleeping can potentially weaken the hair on that side and cause hair breakage and loss. Age: You hair thins out as you grow older and there is every chance that this could start on one side of your head before the other. Circulation problems: It is possible that a problem with circulation or inflammation in blood vessels that supply blood and nutrients to your hair follicles on one side of the head could cause your hair to thin out on that side. 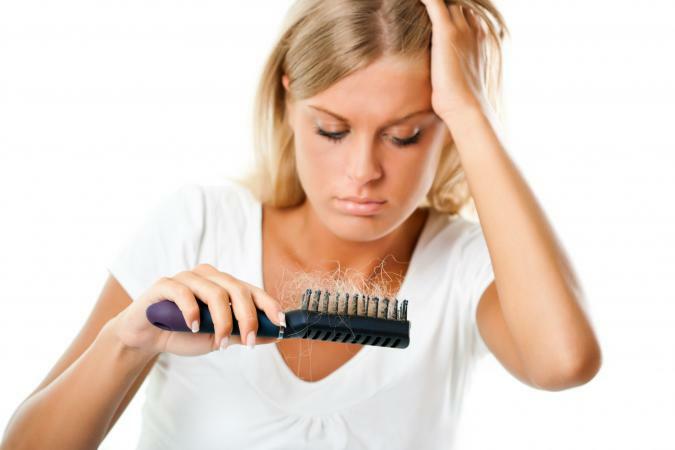 The cause of your one-sided hair loss might soon become apparent to you from this list. However, for some causes, it might not be possible to make a diagnosis without seeing your doctor. Start out the night by sleeping on your side opposite to your hair loss even if you toss and turn all night. Return to your "good" side if you wake up and find yourself on the "bad" hair side. Try, if possible, to alternate sleeping sides when your hair regrows. Temporary hair extensions can even out your look until your hair grows back. However, be careful about worsening the problem by causing more traction on your scalp. Your doctor will recommend the best course of treatment based on the explanation for your hair loss. 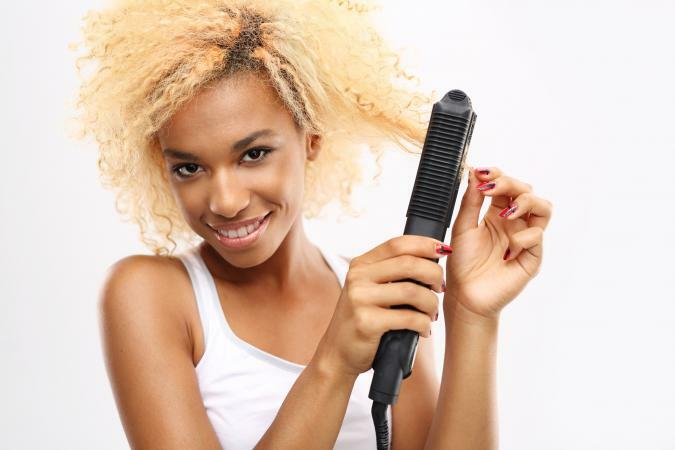 You can also try natural hair loss treatments to help you regrow your hair. Hair loss is common and has many causes. When you lose hair on only one side of your head, search for the obvious and the not so obvious potential cause to determine the best way to manage your condition. Don't hesitate to consult your doctor if the problem is significant or worrisome to you.